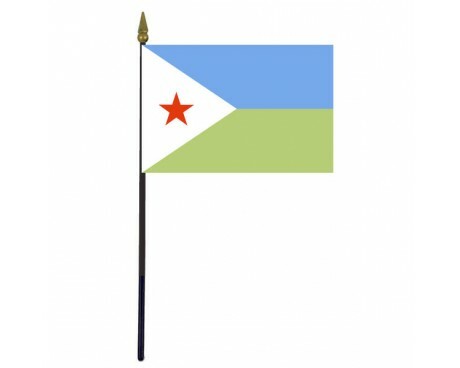 Djibouti Stick Flag - 4x6"
The modern flag of Djibouti, like that of many other nations in Africa, dates back to the period of decolonization that took place in the decades following the second world war. The current Djibouti flag follows in the footsteps of several other flags, but the nation's historical flags have had very little influence on the current design. 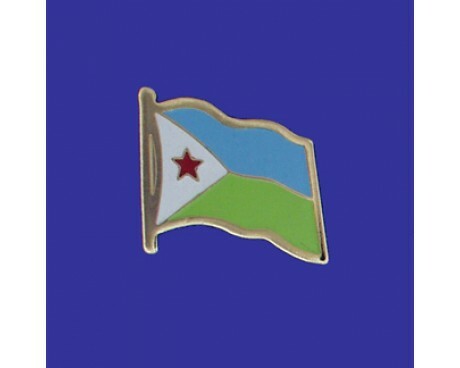 The modern Djibouti flag meaning is tied to the modern nation rather than its past, which makes it both a symbol of the country and a symbol of hope for its future. The national flag of Djibouti (French: Drapeau de Djibouti) features two equal horizontal bands of blue (top) and green with a white isosceles triangle based on the hoist side bearing a red five-pointed star (representing the areas Somalis live in the region) in the centre. (These five areas are British Somaliland (Somalia), Italian Somaliland (Somalia), French Somaliland (Djibouti), the Ogaden, and the Northern Frontier District.) The colours used can be seen to symbolise the earth (green), the sea and sky (blue) and peace (white), with the red star representing unity. It was hoisted on the day of the independence of Djibouti on 27th June 1977. There is a red five-pointed star on Djibouti's white triangle. 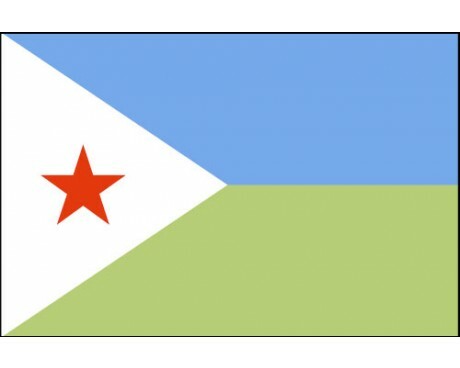 The flag of Djibouti features two horizontal stripes of light blue and green with a white triangle that stretches out of the hoist. A red star with five points is in the center of the triangle. The flag's blue stripe represents the sky, but it also stands for the Issa Somalis, one of the ethnic groups that makes up a large part of the nation's population. The green stripe represents the earth and the Afars, one of the other major ethnic groups of Djibouti. The white triangle stands for peace, while the red star within the triangle stands for the unity of the nation and its people. 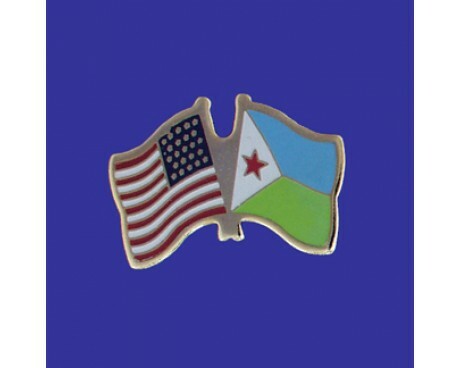 The combination gives the Djibouti flag meaning as a symbol of the united nation and the diversity of its people. The design offers a clear break from the previous flags of the region, so it also represents the nation's willingness to let go of the past in favor of a brighter future. The earliest Djibouti flag was that of the Adal Sultanate, which flew from 1415 to 1577. It featured three squares that alternated between white and red, and each of those squares held a crescent moon. The region became part of the Ottoman Empire near the end of that period, which led to the adoption of a red flag with a golden crescent in 1554. That flag only fell out of use when the area became part of the French Empire in 1896, at which point the French flag began to represent the region and its people. The national flag came into use in 1977. The design is an adaptation of the leading political party's flag. That party has since left power, but the nation's flag still preserves their legacy in the modern era.